Just fit the float in the side of your tank. Connect the solenoid valve on the water inlet to your RO. 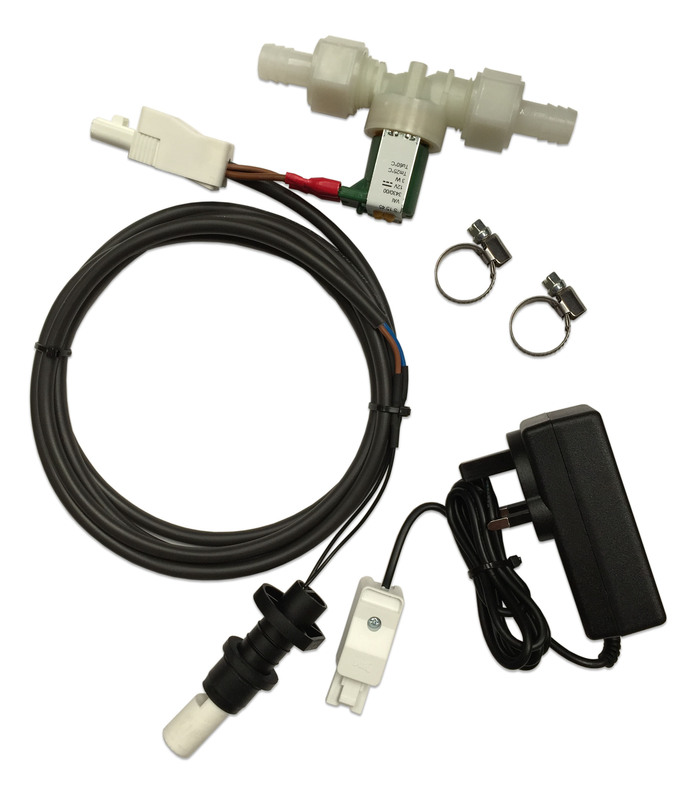 Plug power supply in and you now have an automatic water shut off kit when the tank is full. Complete set of components to shut off the water feed into your tank, the solenoid valve is fitted into your feed pipe, the float switch is fitted into the side of your tank near the top at a level that you wish to fill the tank too. The components are wired together so the complication of following a wiring diagram is taken away; the solenoid valve is 12volt dc so a 230 volt plug top power supply is included.